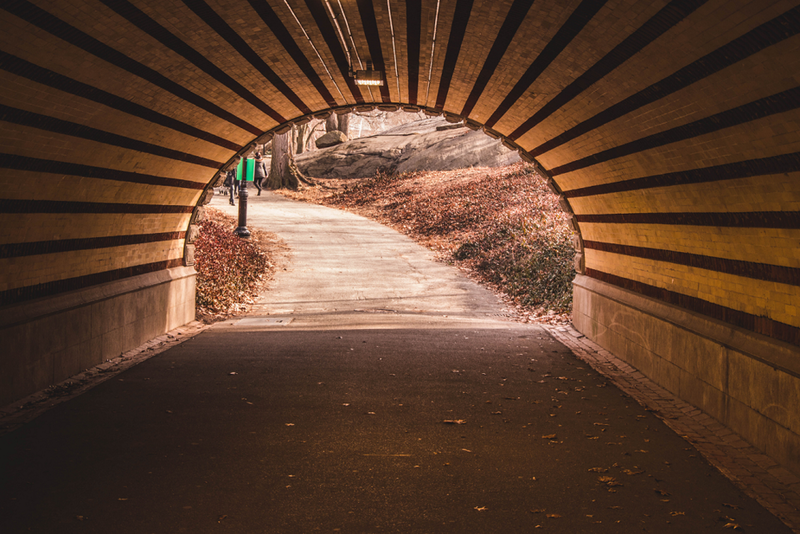 First, the classics: wander around the Central Park reservoir and the Bow Bridge, and stop for a bite outside at the Loeb Boathouse or Tavern On The Green - or enjoy breakfast on the Le Pain Quotidien patio by Sheep’s Meadow. Go to the Queens County Farm Museum for apple and pumpkin picking and the corn maze, and visit Brooklyn Bridge Park for the Harvest Festival on Saturday, October 20th – with live music, outdoor games and interactive activities hosted by local organizations. Over at Brooklyn Grange, check out the weekly rooftop farm tours. For a more adventurous city escape, hike Breakneck Ridge or set sail with Sail NYC on a fall foliage morning brunch cruise. Our top picks: Irish Coffee at the Dead Rabbit; Hot Toddies at the Standard, East Village and the Manhattan at Little Branch (quick tip: it’s cash only); the recently-transformed autumn oasis at the Eataly rooftop (go for drinks & the greenhouse-inspired aesthetic). The Bar Room at the Beekman Hotel has it all: architecture, ambience & great sips, and the Arlo SoHo has transformed their outdoor courtyard into “Arlo Orchard” for the season – complete with pumpkins, apples and fall cocktail creations. Or, create your own drink at Apotheke, a Chinatown speakeasy offering hands-on mixology classes with their Apotheke Academy. Beyond the bar scene: check out the New York Whiskey Fest on November 10th. Cider lovers: celebrate Cider Week at local makers, restaurants & bars November 2nd-11th – including the Bushwick Cider Festival and Market at Brooklyn Cider House. A few new openings: the Four Seasons Restaurant (admire Michael Anastassiades’ custom lighting installation in collaboration with Lukas Lighting/FLOS Custom in the dining room), Bluebird London (Manhattan’s first location – with city views from Columbus Circle), Danny Meyer’s Manhatta (go for the view). We love the dining experience at Ichiran – nothing beats the ramen on a cool day – and we recommend I Trulli for a classic Italian spot with a great fireplace. Not new, but still noteworthy: the fast-casual Pasta Flyer from Mark Ladner (formerly of Del Posto) and the wood-fired Fort Greene restaurant Metta. Learn about the future of food at the Food Loves Tech conference in Industry City and Bitten: A Food Conversation. Another great experiential food option: spend a Saturday at Aunt Jake’s making your own fresh pasta or learn to bake pie and make jam at Brooklyn Grange. For outdoor eats: enjoy the remaining warm weather with grilled fresh fish at Elias Corner in Astoria. Queens Night Market is open on Saturday evenings through the end of October, and Broadway Bites is open through November 2nd. Huma Bhabha’s We Come In Peace. Uptown picks: start at the Guggenheim with Hilma af Klint’s Paintings For The Future – the first major solo exhibition in the United States devoted to the artist, then visit the Cooper Hewitt for The Senses: Design Beyond Vision. On October 18th, attend a true gala – the Cooper Hewitt National Design Awards. Visit the Met for Delacroix – the first comprehensive retrospective dedicated to French painter Eugène Delacroix ever held in North America. Don’t miss the otherworldly sculptures on the Met Roof Garden through October 28th – Huma Bhabha’s We Come In Peace. For uptown inspiration on the streets: Tony Cragg’s Monumental Sculptures play with perception and gravity along Park Avenue between 52nd & 79th, while Tony Oursler’s Tear of the Cloud illuminates Riverside Park at night with multi-media artwork projected onto the 69th Street Transfer Bridge Gantry. Midtown: Brancusi – a true master in mixing materials and organic forms – at MOMA, along with Bruce Naumann: Disappearing Acts starting October 21st (the latter will also be at MOMA PS1 in Queens); Pink: The History of a Punk, Pretty, Powerful Color at The Museum at FIT. Downtown & outside Manhattan: Programmed: Rules, Codes, and Choreographies in Art and Andy Warhol – From A To B And Back Again – a must-see – at The Whitney; the provocative Au Naturel at the New Museum; The Perfect Home II at the Brooklyn Museum; Daniel Arsham’s futuristic 3018 at Galerie Perrotin. October is also the last month to see The Eclipse, featuring 15,000 bamboo & paper kites inside the Chapel of St. Cornelius on Governors Island. Explore New York on a deeper level with Archtober, the month-long festival celebrating architecture & design – see the full list of walking tours & events here. The just-opened 10 Corso Como, with a temporary installation of FLOS’ Arrangements lighting by Michael Anastassiades, is a worthwhile stop as well. Revisit the city in the 1960’s with The Velvet Underground Experience or turn back time with the new Studio 54 documentary. See world-renowned comedians at the NYC Comedy Festival November 5th-11th, catch a classic film at Metrograph, and swing by Brooklyn’s Jazz festival BRIC Jazzfest from October 18-20th. We can’t wait to see To Kill A Mockingbird on Broadway - performances begin in November. And our Met Opera picks: Tosca, Carmen & Samson et Dalila. The NYC Marathon on November 5th and the Macy's Day Parade on Thanksgiving. Day trips to Storm King Art Center & Dia:Beacon in upstate New York are always worthwhile, as is the Glass House in Connecticut (open for tours through November). Sep 19 Mothers, Daughters, Work: what’s it like to run a company together?